This wonderful indie/alternative rock band has been wooing fans since its 1981 birth.. They started as Still Life with a 17 year old Natalie Merchant as lead singer. 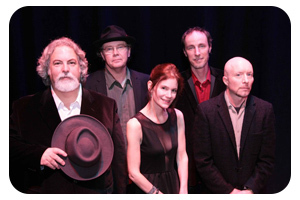 After several name changes, 10, 000 Maniacs was born after the low-budget horror film Two Thousand Maniacs. Current members include Mary Ramsey (lead vocals, viola), Dennis Drew (keyboards, backing vocals), Steve Gustafson (bass guitar, backing vocals), Jerry Augustyniak (drums, backing vocals), John Lombardo (guitar, vocals) and Jeff Erickson (guitar, vocals). Just a few of their hits include Peace Train, What’s The Matter Here?, These Are The Days, and Because the Night. Special guests for this evening’s concert will be Paul Barrere & Fred Tackett of Little Feat. This entry was posted in Harrisburg Attractions, The Whitaker Center by admin. Bookmark the permalink.